ELHS One Calendar Year Membership Quarterly mailing sent 3rd Class Mail. 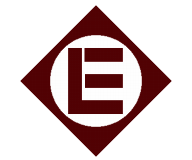 Regular membership level receives a one year subscription to the ELHS quarterly publication The Diamond which includes The Extra Board and From the Workbench. Publications are sent via Third Class Mail. Available to US members only!